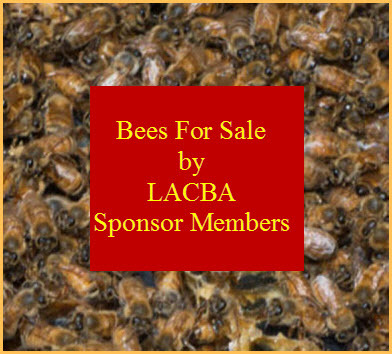 We're accustomed to seeing honey bees pollinating the almonds. 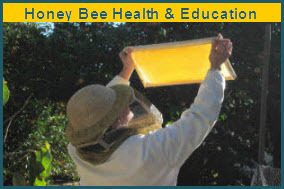 But carpenter bees do, too. 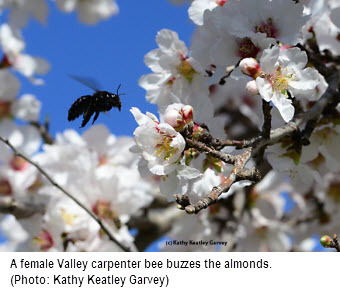 We spotted a female Valley carpenter bee, Xylocopa varipuncta, foraging in an almond tree on Feb. 24 in a field adjacent to the Harry H. Laidlaw Jr. Honey Bee Research Facility on Bee Biology Road, University of California, Davis.